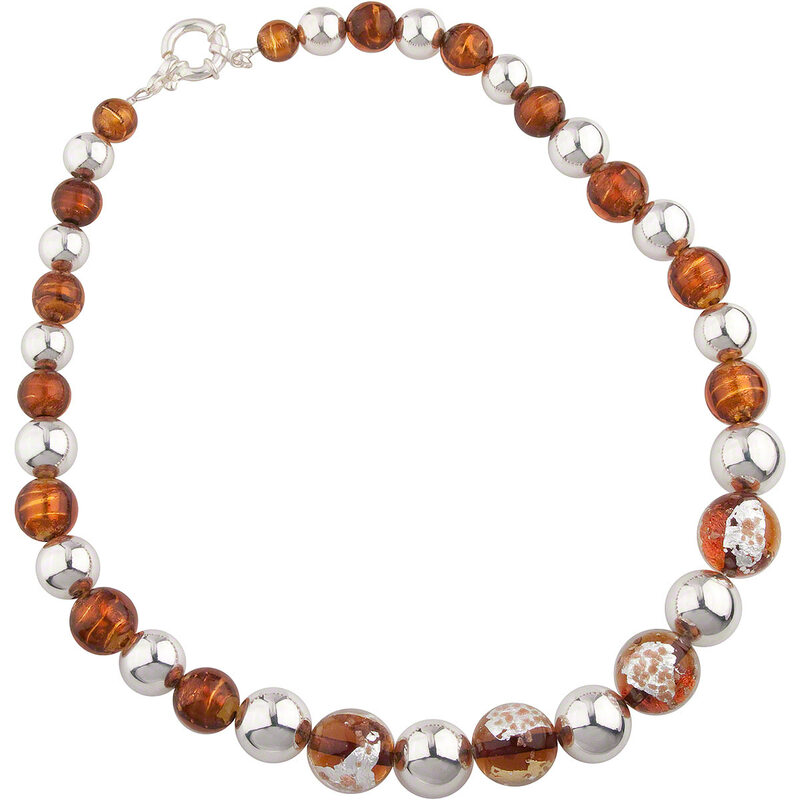 The rich, warm tones of topaz Murano glass are set against a backdrop of smooth, round sterling silver beads on this chic 18 inch graduated necklace. Each of the Murano glass beads is handmade with genuine Murano glass over silver and/or gold foil. Arrives in a saddle-stitched leatherette jewelry box, making an impressionable gift.